When I moved to Vermont in 2011, I was doing thirty hours of editing per week as a long-term contract employee for a communications company based near Indianapolis. The hours were flexible, meaning that I not only worked remotely from my home, but I was also able to complete some of those hours while my then toddler sons (one and two years old) napped—never at the same time of day, of course. It was an ideal situation for a new mother who both wanted to work and be present during her kids’ early years. I’d considered myself a “writer” since college though I had never spent much time developing that craft. But after working as an editor for several years, developing other people’s drafts into finished works, I’d grown antsy. I wanted to write, too. 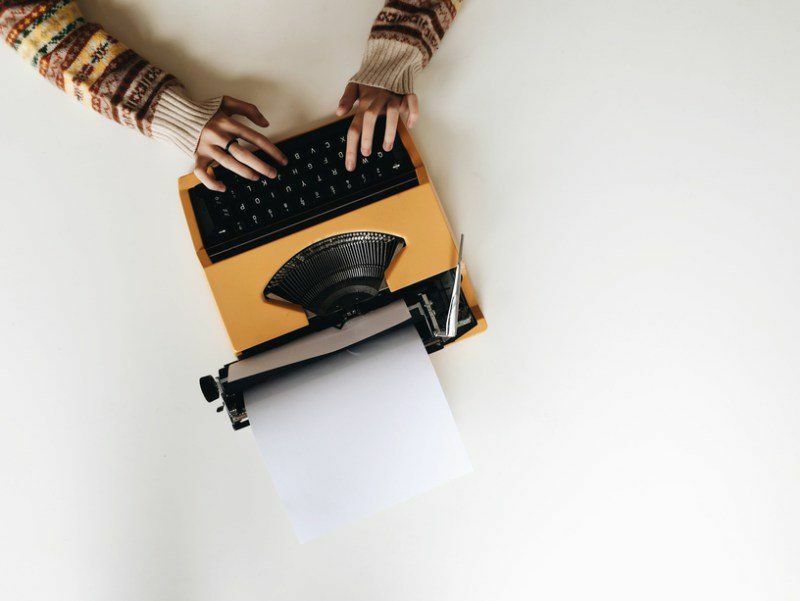 With a full editing workload and a husband who traveled 100 percent of the time for his job as an airline pilot, generating additional time and motivation to spend more hours with words that my fingers needed to wrangle was unimaginable and logistically impossible. I was already giving up needed sleep to earn a living, often working from eight at night until midnight after caring for my kids all day, then up again at six a.m. to do it all again. I approached my husband with this dilemma. I had just turned thirty, a milestone birthday that felt equally youthful and ancient. I felt I could still do anything with my life, but that time was suddenly ticking by faster. We agreed that I would scale back my editing hours by half and fill the extra time with writing. Neither of us had any idea whether I had any real talent at writing. But I needed to find out. So I endeavored to write a book. Over the next year, I joined a few writing groups whose members gave me feedback on my work. I knew my writing was “voicey” and had potential, but it wasn’t good writing. At first, that didn’t much matter to me. I was happy to be writing at all, trying different styles and forms. But I learned pretty quickly that book writing was exponentially more difficult than it sounded. A composer, after all, did not simply sit down and churn out a full symphony. She must score the percussion separately from the bass, woodwinds, and strings. Preparing for such a feat takes time and practice. In fact, it is usually one’s career. Not something done on the side, for fun. Through the writing groups and my own study and practice, I built on my undergrad education in writing and learned to wield writing techniques first separately, then later together in concert. I also learned about the Breadloaf Writers’ Conference in Ripton, Vermont, and applied with enough naivety about the program’s prestigious history that I believed I had a chance at acceptance. When I was waitlisted in the spring of 2013, I was satisfied with the “almost” achievement and set a personal goal for myself of being fully accepted the following year. To my surprise, two weeks before the conference someone dropped out and I was offered a position. My husband and I scrambled to pay the conference fees and adjust our schedules so that I could attend. He called off work for part of the twelve-day trip and we flew my mother in from Indiana to cover childcare for the rest. It was an expensive addition to my experiment. The pressure, generated by both me (Was I good enough?) and my husband (Would I turn this interest into a career at some point? ), was on. What I believed I still lacked writing ability, I made up in socializing with conference guests. I met editors, publishers, and agents, each of whom sounded interested in the novel I’d been working on for the past year. I promised to send it to them when it was finished, unsure when that would be. Unsure, too, whether their interest was earnest or just part of their job. The conference boosted my confidence in my writing and motivated me to redouble my efforts. Translation: I needed to spend even more time writing. Either paid work or time with my kids would have to be sacrificed. I simply couldn’t do all three at once. In the end, I sacrificed both without being emotionally comfortable with sacrificing either. I worried that leaving the workforce for an undetermined amount of time would make it difficult to reenter it. I worried that the time I was spending writing instead of bonding with my still young family would have consequences I couldn’t anticipate and couldn’t reverse. I quit the now part-time editing job entirely (the company couldn’t employ me at any fewer hours than what I was already working—they wanted me to work more hours, not fewer) and spent some weekends writing at a cheap LaQuinta Inn only ten miles from home. My husband and I relied on a tag-team approach to parenting. He would get home at midnight from a work trip, and I would leave in the morning to write for a few hours while he stayed with the kids. The loss of my modest income was felt immediately, as we stopped saving for the future altogether. I gained weight, which I’d thought an impossible feat in beautiful, outdoorsy Vermont. I resented myself for moving to a state where I’d intended to hike, bike, and boat and instead doing nothing but sit in front of my laptop. The kids were getting older, louder, bigger, and needier, and I could no longer find any peace at home among them. Neither could I bear the mommy guilt I was faced with when working from home—it was easier for me to be gone if I was truly away. If I couldn’t hear my children crying or laughing or discovering the world around them. If I didn’t know what I was missing. I found a few other artistic parents to split the cost of a small, run-down workspace that I could easily bike to from our condo. Because my husband was already gone several days a week, I tried to only work when the kids were sleeping so they wouldn’t notice my absence as much. It hadn’t occurred to me that my marriage would also suffer, but to be sure, it did. It does. The work and sacrifices paid off when I contacted one of the publishers I’d met at the writers’ conference. I hadn’t yet finished the novel, but I’d compiled a collection of essays and stories that examined the place I was raised—on the banks of a river in rural Indiana. The publisher agreed to read the manuscript, so I sent it off to her. Six weeks later, we met again at the Breadloaf conference, where she informed me that she wanted to publish my manuscript. Within a week, I had an agent and a book deal in the works. But the book wasn’t done. Once contracts were signed, a third of the book was gutted and replaced with brand new writing. Then that draft went through a significant revision. Then that draft was revised. I spent the summer of 2015 putting endless “finishing touches” on Riverine, which had morphed into a memoir I had no idea I’d been writing all along in six months flat. More time gone. More sacrifice. More missed days at the beach. But I had sold my first book and maybe even created a new career for myself. I had gone through a grueling editing process that was both visionary and taxing. I had discovered what I was really capable of, what I suspected I was capable of all along. I not only achieved what I’d set out to accomplish, but also had been awarded the Graywolf Press Nonfiction Prize, a coveted literary prize for an emerging nonfiction writer. I had reshaped my life. I missed out on some important family time and some gorgeous Vermont weekends. I won’t get that time back. Any minute now, one of my boys will wipe my kiss from his cheek or shrug off my hug. But I find some solace in the fact that my boys watched me work for what I wanted. I delight in hearing them tell their friends that their mom is a writer. I hope that I have shown them what is possible. I know that the next book will require the same time commitments, the same compromises. I will face the same challenges. I know now that my family is capable of enduring this process and that I would rather my kids be comfortable in their independence from me than cling to my thighs in tears as I head out the door for my office. I know that this time around, I need to take walks more often and check my cholesterol. I need to take a day off when the weather is warm. I need to savor the sweet mornings with my kids even when I am too tired and maybe, even, would rather be reading or writing. But I also need to continue to claim my own time and space to create. I need to spend time with other artists and sometimes stay out too late. I need to do it all again, as soon as possible. Angela Palm is the author of Riverine: A Memoir from Anywhere but Here, winner of the 2014 Graywolf Press Nonfiction Prize. Palm owns Ink + Lead Literary Services and is the editor of Please Do Not Remove, a book featuring work by Vermont writers. Her work has appeared in Brevity, DIAGRAM, Paper Darts, Midwestern Gothic, Sundog Lit, Essay Daily, and elsewhere. She currently teaches creative writing at Champlain College in Vermont. She's repped by Chalberg & Sussman literary agency. Whether it's Earth Day or just a normal day, being more conscious about reducing the number of disposable products we use in our daily lives benefits everyone—but especially parents. After all, our children will inherit this planet and we don't want them to be left with a big mess from us. Here at Motherly, we've been thinking about how to reduce our own disposable use and testing out longer lasting products that can replace the ones we typically toss at the end of a kitchen clean-up. A word of advice: Make sure everyone in the family knows that these towels belong in the laundry hamper, not the garbage can. You can wash and reuse these multiple times, and one roll could last about six months! We're trying to reduce waste so we're no longer buying paper straws but I've just got to have a straw when I'm having a cold drink (and my preschooler is obsessed with straws) so we've been on the hunt for a dishwasher safe, reusable straws. 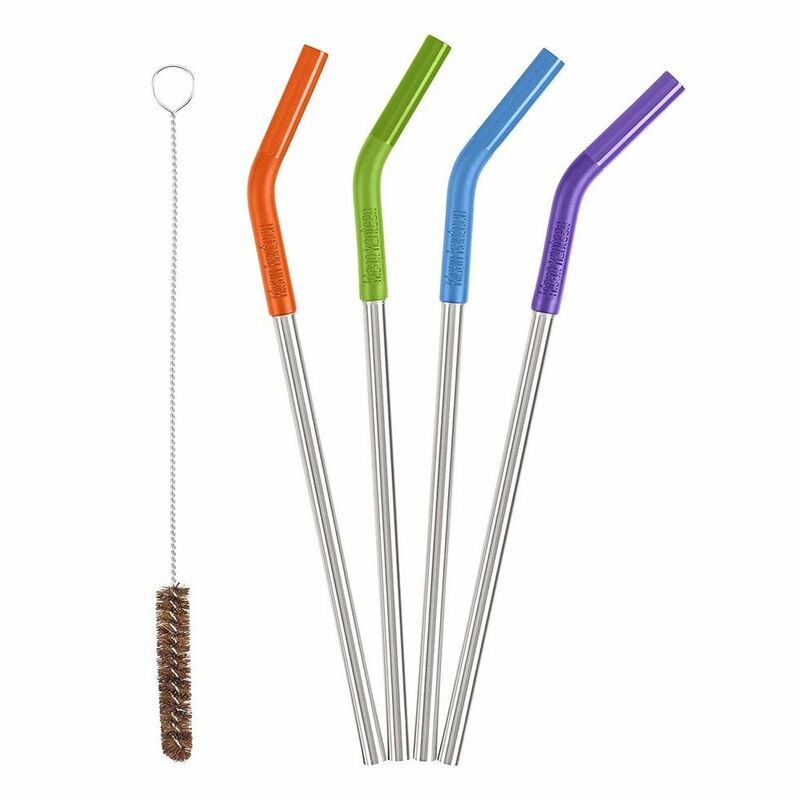 The first ones we tried were completely stainless steel and I nearly chipped my tooth, so I was happy to find these Klean Kanteen straws with silicon tops on Amazon. The little brush they come with is great for cleaning them, especially since we sometimes use them for smoothies. 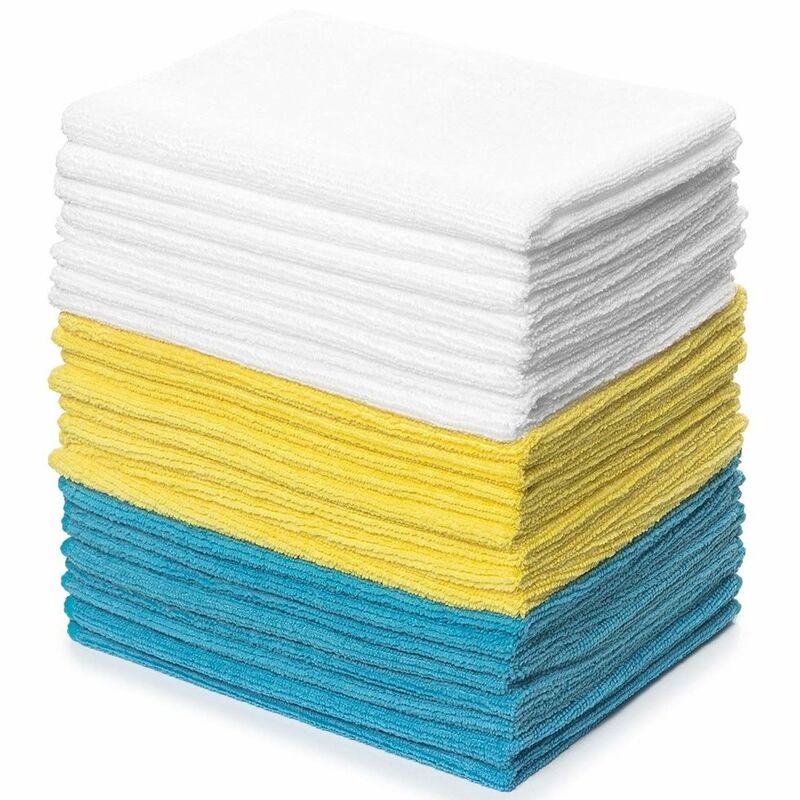 Purchasing these microfiber cleaning cloths was another attempt to reduce my family's consumption of paper towels, and it worked! Unlike with the bamboo towels, there was no confusion about these clothes being reusable. We just threw them in the washing machine with towels or jeans and had a fresh stash for all the messes we are constantly making. I like having the different colors to keep kitchen cloths, floor cloths and bathroom cloths totally separate. This 13.5 ounce vacuum insulation thermos was tested by a #TeamMotherly staff member who totally loves it. 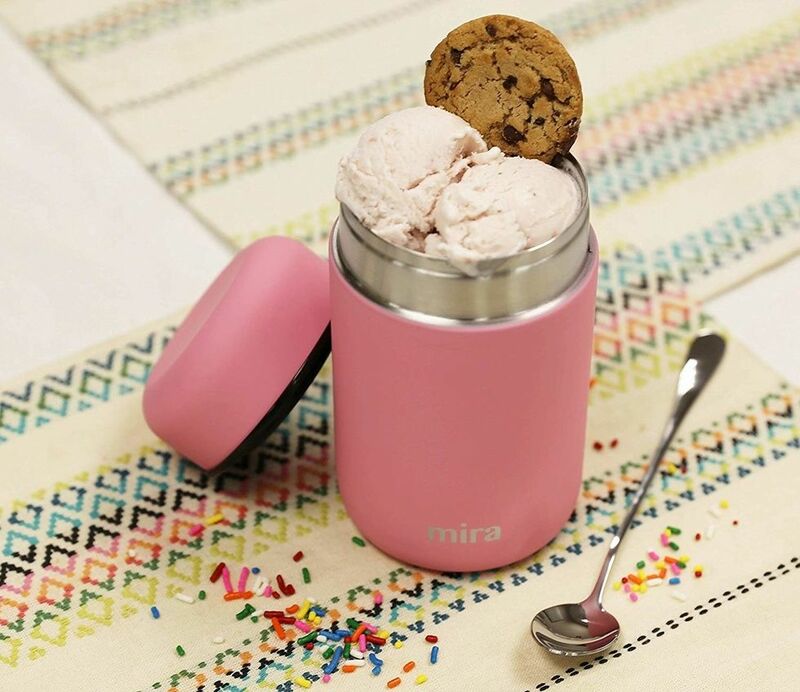 The photo above shows it holding ice cream, but this triple-walled, stainless steel container can hold healthier foods too, and keep them hot or cold. It's a step up from nearly disposable plastic food containers so many of us have rattling around in our kitchen drawers and (unlike many of those containers) is leak-proof in a backpack or diaper bag. Multiple Motherly staff members have tried these wraps and as someone who did I can say they are totally worth it. 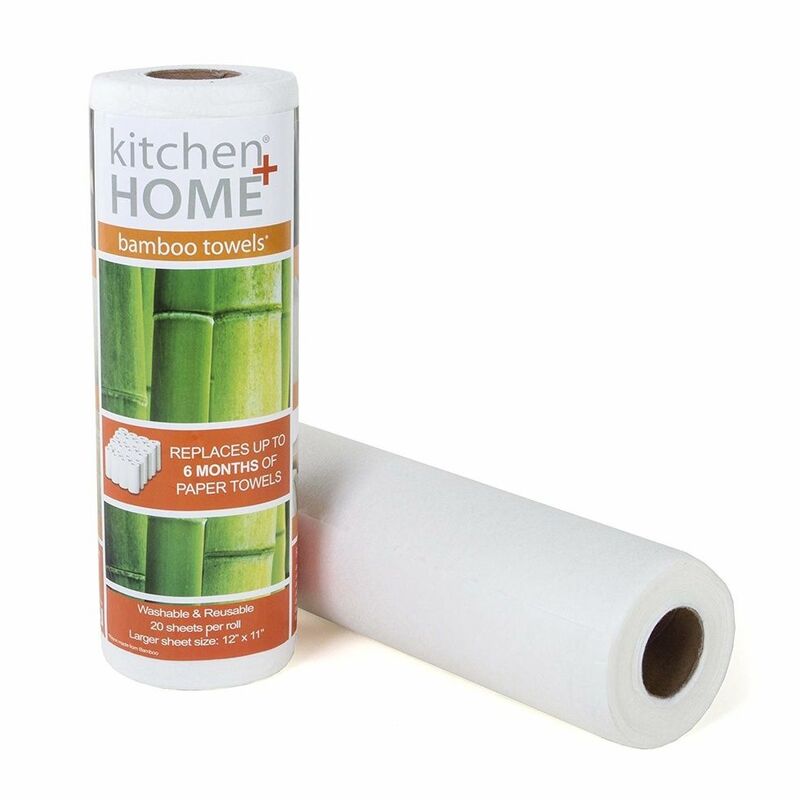 If you're trying to cut down on plastic wrap in your kitchen (or have a preschooler who likes to take one bite out everything and save it for later) these beeswax wraps are an eco-friendly and reusable alternative. There are a few brands out there. 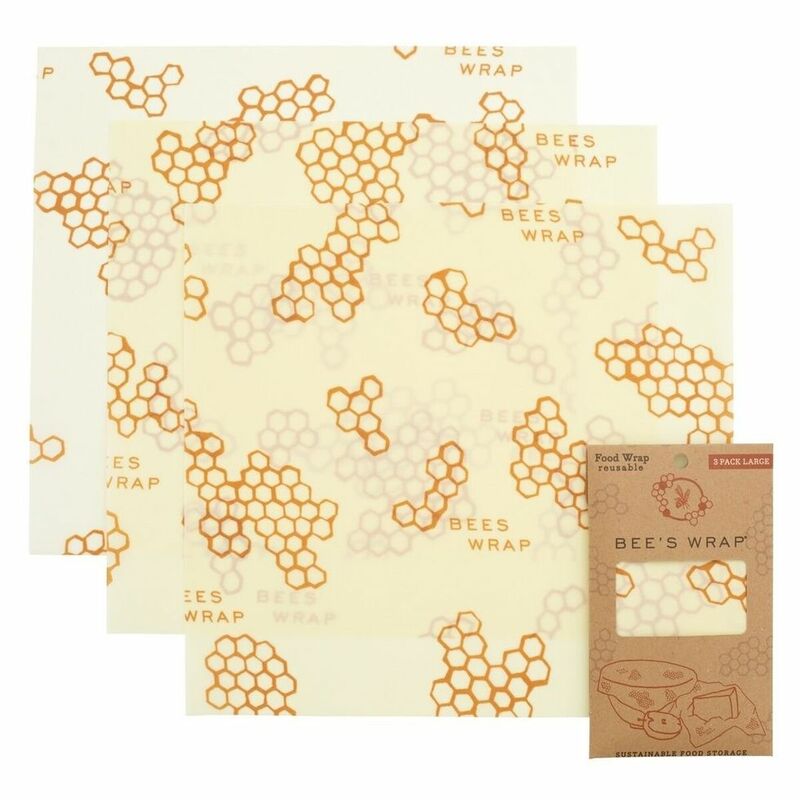 We like these ones on Amazon and the LilyBee beeswax food wraps are a non-Amazon alternative. 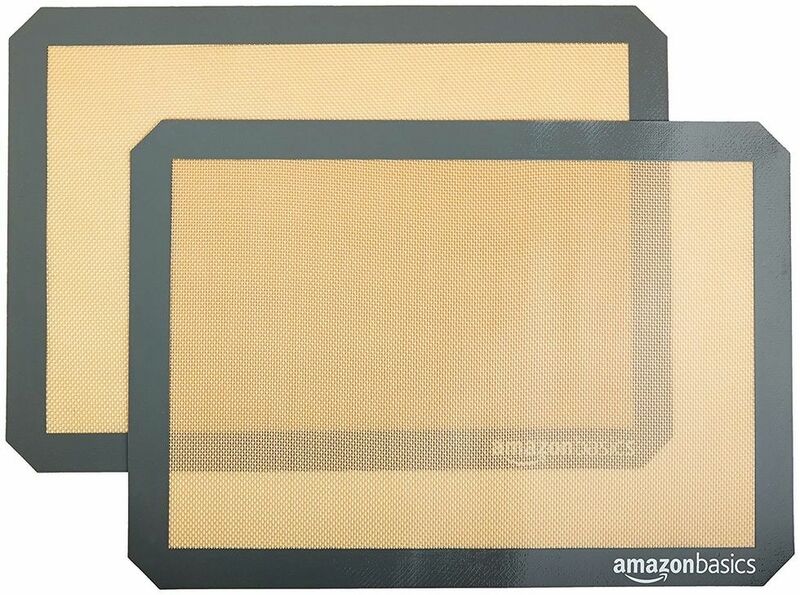 We used to use a ton of parchment paper in our kitchen for everything from baking cookies to heating up frozen French fries, but these silicone baking mats have changed the way we bake making the process less wasteful. 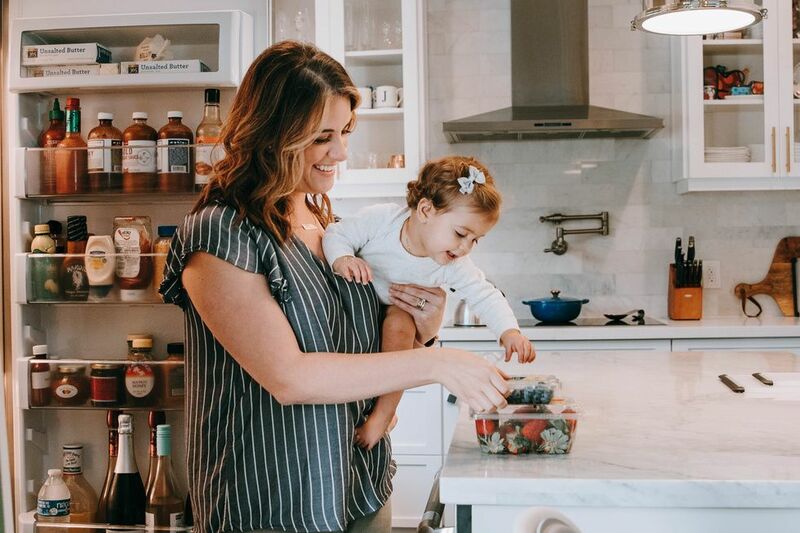 For many of us, motherhood is the realization of a dream and the most powerful love we have ever experienced, but in this experience, we also realize just how unrealistic society's expectations for moms are. 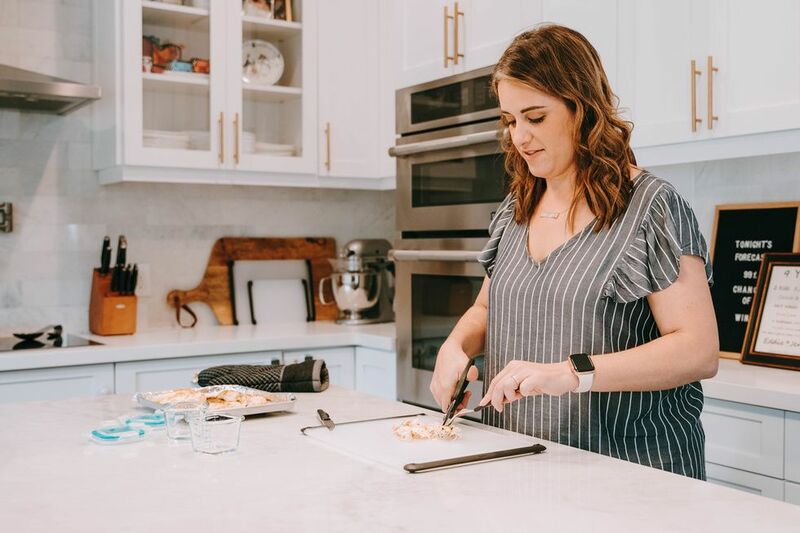 Recently, mom of three Sarah Buckley Friedberg took to Facebook to vent some of her frustrations about the unrealistic and unreasonable expectations society places on new moms. "Go back to work 6-8 weeks after having the baby. The baby that you spent 9-10 months growing inside of your body. Go back to work before you have finished healing or have had time to bond with your baby," she writes, adding, "Also breastfeed for at least a year. So take 2-3 pumping breaks a day at work, but don't let it throw you off your game or let you lose your focus." She continues: "Maintain a clean, Pinterest worthy house. Take the Christmas lights down. Recycle. Be Santa Claus, the Easter Bunny, the Tooth Fairy, the birthday planner, the poop doula (seriously when will this end), the finder of lost things, the moderator of fights. Be fun. Be firm. Read books. Have dance parties." In her now viral Facebook post, Buckley Friedberg put into words a feeling that so many mothers deal with every day. We are trying to raise children that will be a force for good in society, but it can feel like we have no support from society in our mission. Buckley Friedberg tells Motherly she typed up the post after a really hard, long day at work. Her kids had been at the zoo without her that day, and she was feeling sad about missing that experience with them and was trying to get everybody fed and put to bed that evening. "My almost 4-year-old threw a massive 45-minute tantrum because we made the wrong kind of pasta for dinner. By the time we got all three kids to bed, I was exhausted and frustrated. I quickly jotted down a rant on Facebook, and a friend asked if she could share it so I made it public," she tells Motherly. The post went viral from there because it is so relatable. 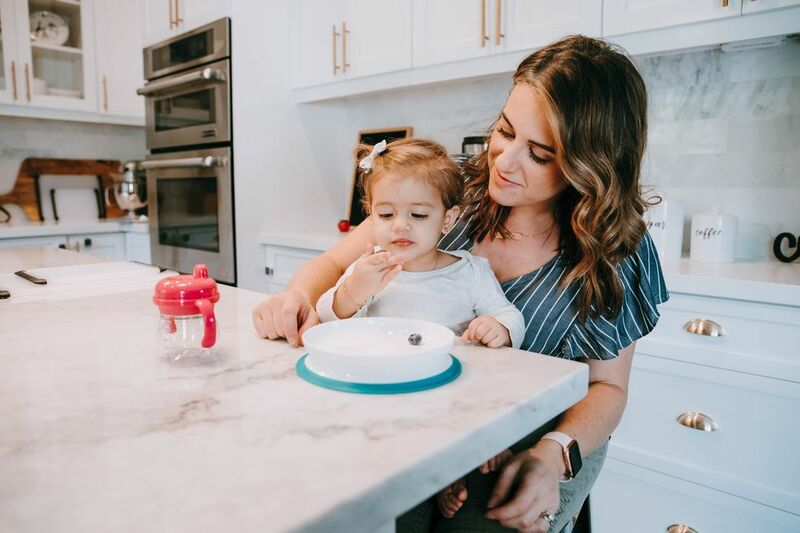 In it Buckley Friedberg notes that most mothers are responsible for maintaining the household schedule, running children to doctor's appointments and rearranging their own schedule when the kids are sick. As she points out, this puts moms between a rock and a hard place: Society tells us to practice self-care and take vacations, but that's hard to do when you've run through all your vacation days because your kids had the flu. We're expected to be all things to everyone, and it can feel impossible. The comments section is full of mothers who identify with Buckley Friedberg's frustration. "The majority of the comments and shares have been so positive and encouraging. Most of them say something along the lines of 'this is exactly how I feel' or 'how did you write exactly what is always running through my head? '," she tells Motherly. "I also think that as a society we do not talk about this enough—which makes those of us struggling feel isolated since it seems like everyone else has everything together so perfectly. I think it resonated with many other moms who do not feel like they have everything together at all times." We've come so far since women entered the workforce, and today's dads do a lot more than their own fathers did, but we can't pretend that all things are equal for parents in heterosexual partnerships. As one Facebook commenter wrote under Buckley Friedberg's rant: "Gen X and Xennial women were sold the dream that we can have it all, 'career and family.' While we were being raised to pursue this, our future husbands were NOT being raised to understand equal partnership and how to perform emotional labor. The result: we literally DO have it ALL! The lion's share—90% of the domestic responsibility on top of careers." It's a passionate comment, but one that shouldn't be written off as hyperbole. This is hard on mothers who work outside the home and then come home to work a second shift as the cook, chauffeur, laundress and, to use Buckley Friedberg's term, poop doula. And it's also hard on marriages. According to a study published in the Journal of Family and Economic Issues, relationships between partnered moms and dads suffer when mothers feel they've had to pull back at work because they're doing more than dad does at home. "Mothers in dual-earner households experience greater parenting inequalities than do similarly-situated fathers," the researchers note. We know today's dads really want to be more involved than they are in childcare, and most say that equal chore sharing is important to a successful relationship, but mothers are still the default parent in many homes. As the default parent, moms are both the household managers and the emergency backup system. When a child is sick, there's no discussion of who is going to miss work that day, it's obvious that mom will because she's the default parent. Her presence as a backup system allows her partner to be (or at least seem to be) a lot of the things that employers love: Focused, dependable and present. But with no one backing them up, mothers have a harder time cultivating that image at work. We are perceived as less committed to work (and lose out on about $16,000 a year as a result). This isn't happening because moms aren't trying hard enough (trust us, we're trying!) it's happening because society doesn't have our backs, and isn't supporting fathers, either. The United States the only member country of the Organization for Economic Cooperation and Development (OECD) that has not implemented paid leave on a national basis, and America's work culture wasn't created with parents in mind. This is why American moms are the most stressed-out parents in the world. Moms like Buckley Friedberg are ringing the alarm bells, and hopefully, employers and lawmakers will hear them and implement paid leave policies, and, importantly, encourage both mothers and fathers to use them. When society decides to support all parents, fathers will be able to do more, moms will be able to do less, and families will be better off for it. 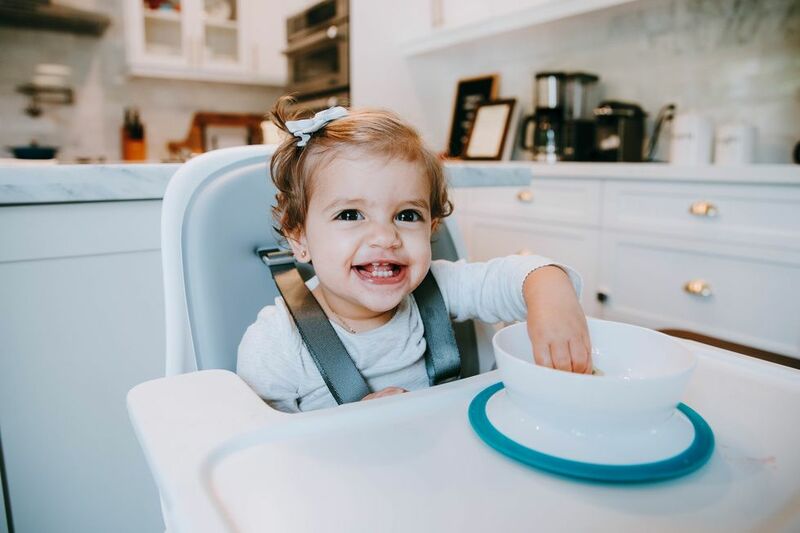 "Until then, I think more people talking about how hard it all is and not just posting beautiful happy snippets on social media would help many moms," says Buckley Friedberg. "It is so hard when it appears that everyone around you is handling everything flawlessly when you are struggling to keep it all together." If you're struggling today, know this mama: You're not alone. We feel it, too. I've always wanted to go to New Zealand, and after hearing about Air New Zealand's new family-friendly seating option, I'm tempted to book my toddler son's first international flight. Our babies come out as beautiful, soft and natural as can be—shouldn't their clothes follow suit? Here are eight of our favorite organic kids clothing brands that prove safe fabrics + stylish designs are a natural fit. We l'oved this collection from the moment we laid eyes on it. (See what we did there 🤣) Free of things harsh added chemicals, dangerous flame retardants, and harmful dyes, this collection is 100% organic and 100% gorgeous. We especially adore their soft, footed rompers, comfy cotton joggers, and newborn-friendly kimono bodysuits. Looking to stock up? Don't miss Big-Find Thursday every week on their site—a 24-hour flash sale that happens Thursdays at 9 a.m. PST and features a different body style, collection, and discount every week! One of our all-time favorite brands for durability, style, + customer service, Hanna Andersson doesn't disappoint in the organic department, either. 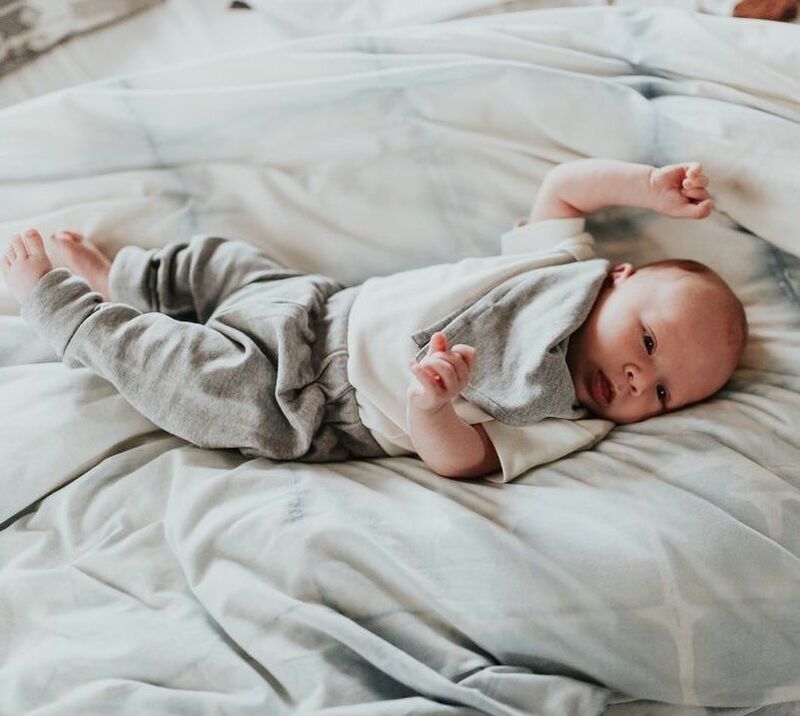 From an aww-inducing organic baby layette collection all the way to their iconic pajamas, there are so many organic styles to swoon over from this beloved brand. And we swear their pajamas are magic—they seem to grow with your little one, fitting season after season! The fabric you first snuggle your baby in matters. Monica + Andy's (gorgeous) collection is designed for moms and babies by moms with babies, and we love it all—but especially their Hospital Cuddle Boxes. Featuring a Coming Home Blanket, a Top Knot Cap, two Hello Baby Newborn Tops, and a Hello Baby Newborn Pant, they include everything you need for baby's stay. And unlike the clothes you get from the hospital, it's all made with organic cotton. Just wash at home before baby arrives and pack in your overnight bag to be prepared. Hospital Cuddle Boxes are made with super soft GOTS certified organic cotton that's free of chemicals, lead, and phthalates. They feature thoughtful details like fold-over mittens and feet, and a touch of stretch in the blanket to help you master your baby's first swaddle. "Here boring designs and toxic chemicals are a thing of the past while modern colors, fresh prints and heirloom quality construction are abundant." We couldn't agree more. Made from 100% organic cotton, eco friendly dyes, and in fair trade settings, we love this modern collection's mix of style + sustainability. 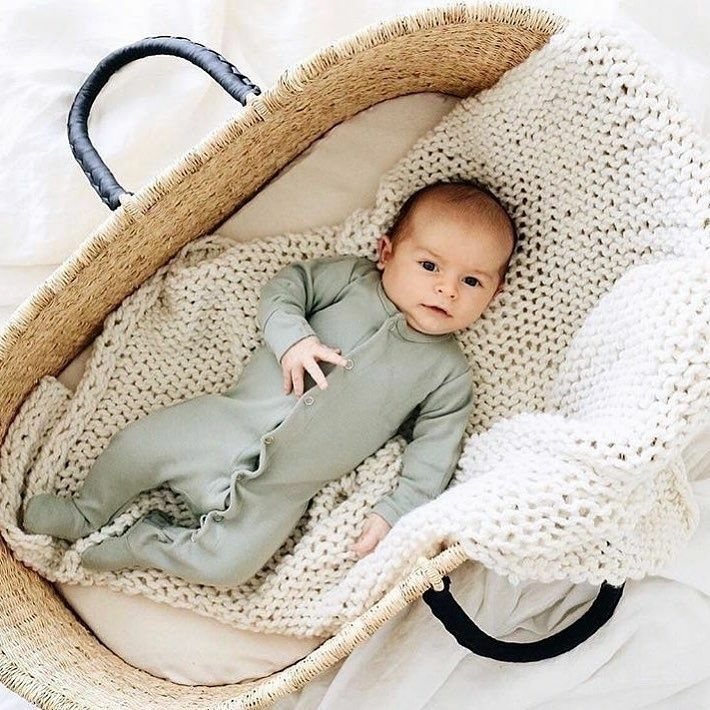 We especially love the Basics Collection, an assortment of incredibly soft, beautiful apparel + accessories including bodysuits, zip footies, pants, hats, and bibs, all available in a gender-neutral color palette that can work together to create multiple outfit combinations. The pieces are perfect for monochrome looks or for mixing with prints for a more modern style. 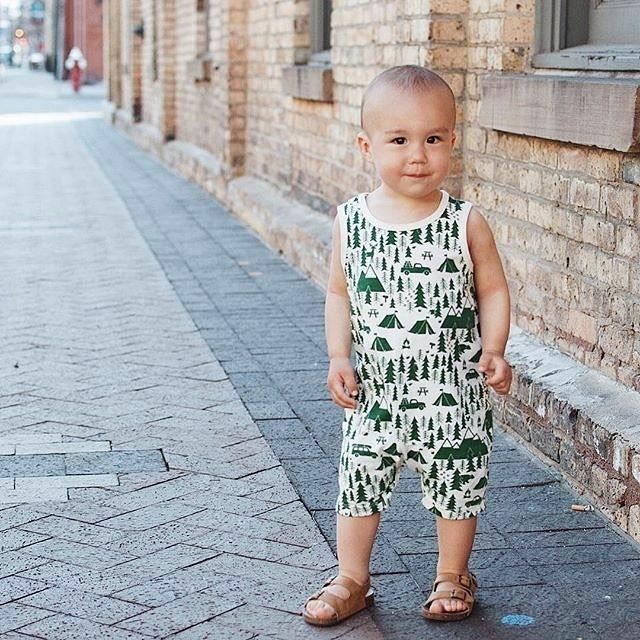 You'll come for SoftBaby's organic fabrics, but you'll stay for their adorable assortment of prints. From woodland foxes to urban pugs, there's no limit to their assortment (meaning you'll even be able to find something for the new mama who's hard to shop for). Plus, the name says it all--these suckers are soft. Get ready for some serious cuddle time. 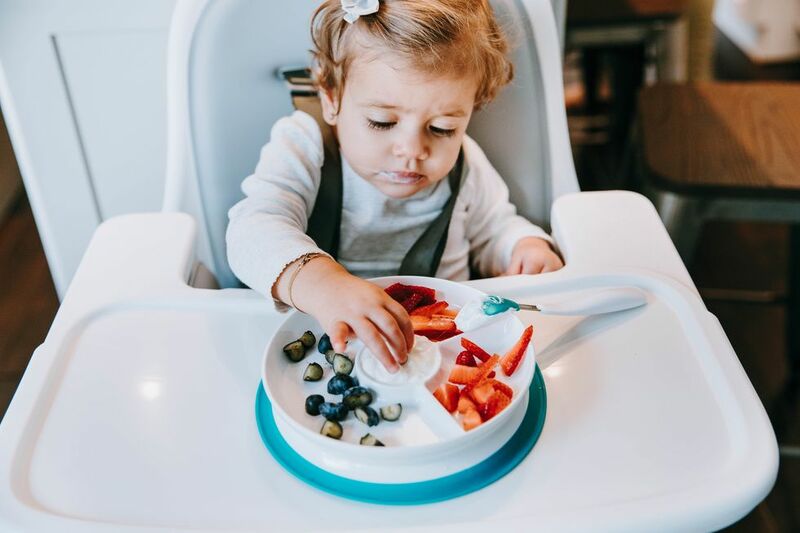 Organic may not be the first thing that comes to mind when you think of the Gap, but this popular brand actually carries a wide variety of organic (and adorable) baby + toddler clothes. From newborn layette basics to toddler sleepwear—and more—there's something for everyone in this collection. Everything is 100% cotton, super soft + cozy, and perfect for eco-conscious mamas. Certified organic cotton with Brooklyn-based swagger? Be still our hearts. Winter Water Factory features screen-printed textiles in bold designs you'll want to show off (get ready for some major Instagram likes). And the husband-and-wife co-founders keep sustainability at the forefront of their brand, meaning you can feel good about your purchase--and what you're putting on your baby. 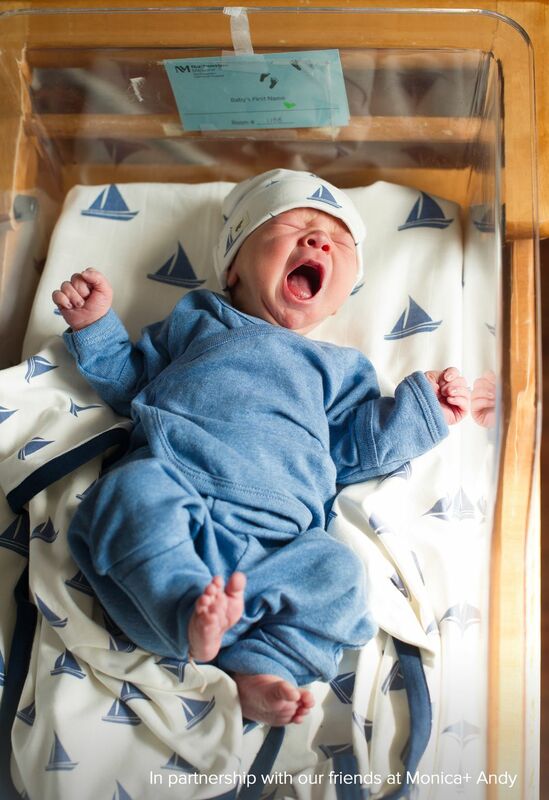 The company makes everything from kids' clothes to crib sheets (all made in the USA). For even more cuteness, pair their signature rompers with a hat or bonnet. Under the Nile has been making organic baby clothes since before it was cool. 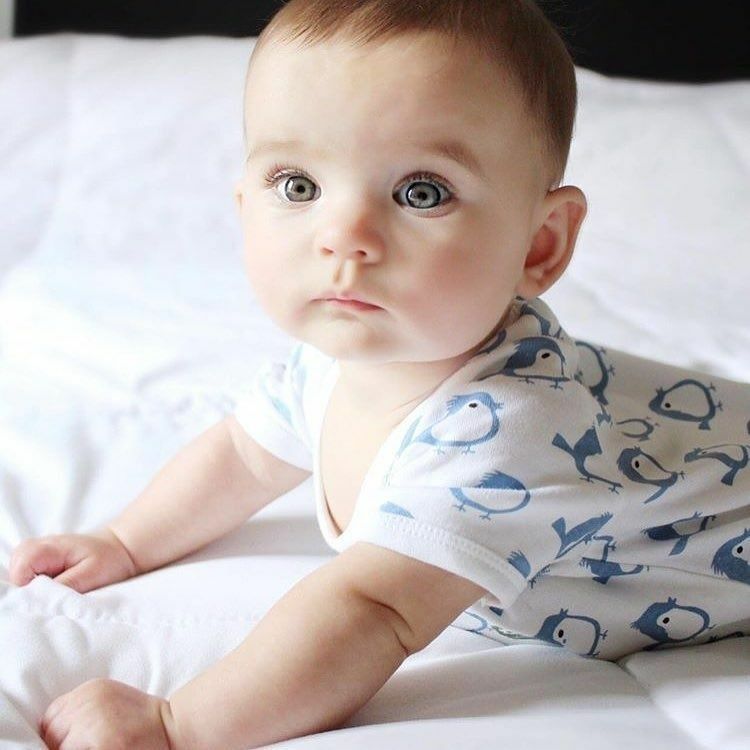 Seriously--they were the first baby clothing company in the USA to be certified by The Global Organic Textile Standard. They've kept up that legacy of high standards by growing their Egyptian cotton on a biodynamic farm without the use of pesticides or insecticides, and all of their prints are made with metal-free colors and no chemical finishes. And with sizes from age preemie to six years, there's no limit to options for your whole brood. We love their onesies and long johns for newborns, as well as their collection of blankets and soft cotton toys your child will love on for years.